Bogey’s Burgers is a great place to work! Our work environment is always cheerful, upbeat, and fast paced! We pride ourselves in the amazing group of employees we have that share our values in the work place. 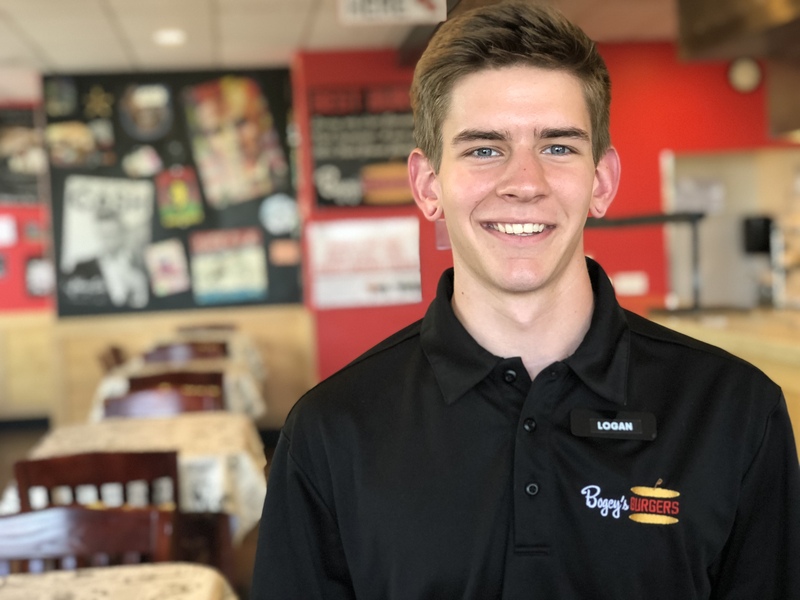 Whether you’re looking for part time work while going to school or a chance to start a new career, Bogey’s offers many options for employment. Bogey’s job application has two (2) pages. Download and print a copy of the application below. At home, fill out both pages of the application making sure to fill out every section completely. If your application is selected, you will receive a call from Bogey’s within two (2) weeks to set up an official job interview. NOTE: Applications are only accepted by MANAGERS. If you drop off your application to any employee at Bogey’s who is not a manager, it will be discarded. Thank you for considering joining the Bogey’s Burgers team.